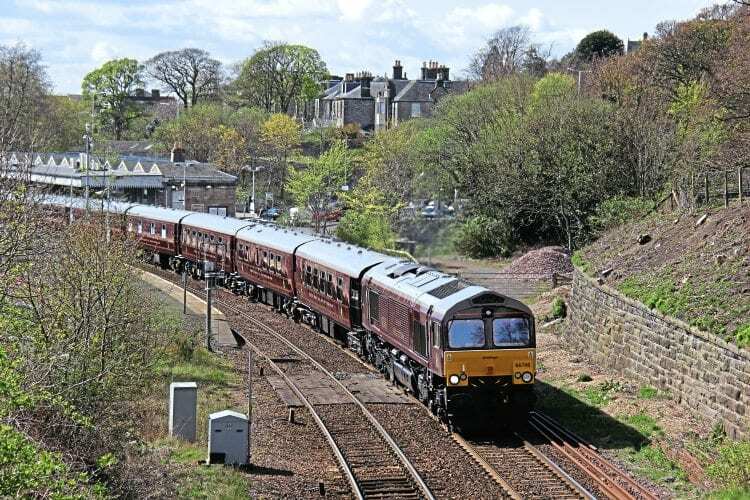 ‘THE Royal Scotsman’ luxury landcruise train started its 2017 season of tours on April 17 with a four-night ‘Classic Tour ‘ taking in Speyside, Kyle of Lochalsh and the Cairngorms. GB Railfreight, in its second year providing power for the train, sent Belmond red No. 66746 north to work the train.